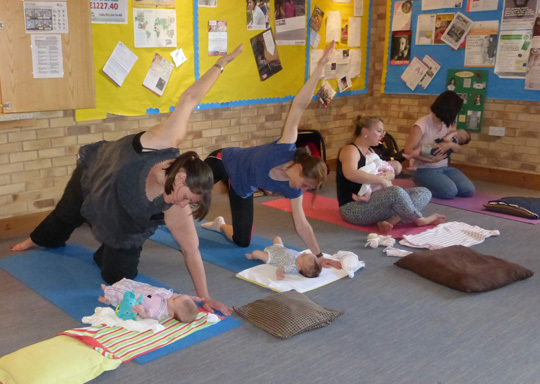 The classes were invaluable to me for a variety of reasons; The breathing exercises helped me in early labour and the Relax, Stretch and Breathe exercises relaxed me throughout the pregnancy. The information given at the end of the lessons was also useful and to get other mother's experiences is something that one is not able to get from a text book. The most valuable gain for me from coming to the classes has to be the friends that I have made. I felt quite isolated in my early pregnancy as all my friends have had children a few years ago, so to be able to meet people in the same position and due at a similar time as me has changed my life in a way, as I now meet up with a couple of people regularly and we have the same interests. I will miss coming to the class and chatting to the other mums-to-be but hopefully I will be back in 9-12 months if all goes to plan!